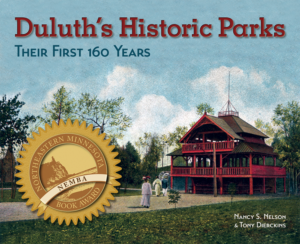 Perhaps best known as the man who built Duluth’s historic Glensheen estate, Chester A. Congdon also contributed generously to the development of Duluth’s park system with the creation of Congdon Park and Congdon Boulevard. Moreover, Glensheen’s construction introduced Minnesota to Anthony U. Morell and Arthur R. Nichols, who would go on to become the state’s foremost landscape architects. Congdon was born in Rochester, New York, in 1853. In 1871 he enrolled at Syracuse University where he met San Francisco native Clara Hesperia Bannister—like him, the child of a Methodist minister—and together they graduated in 1875. Clara took a job teaching in a women’s college in Ontario; Chester studied law and was accepted to the New York bar. After a brief, financially frustrating stint as a school principal in Chippewa Falls, Wisconsin, he was off to St. Paul, Minnesota, to practice law. There he took a job as assistant to William Billson, the U.S. district attorney for the State of Minnesota. A year later Billson left his post to move to Duluth to begin a private practice. Congdon, meanwhile, married Clara in Syracuse and brought his bride west to St. Paul. There they started a family while Chester made the transition to private practice. His work often brought him to Duluth, where he visited with Billson. In 1892 he accepted Billson’s offer of a partnership and moved his growing family to the Zenith City. Chester found early success in Duluth. Henry Oliver of Pittsburgh’s Oliver Steel—the second-largest steel maker in America—hired Congdon to oversee his ore purchases in Minnesota. Together they created the Oliver Mining Company, which would become the largest iron ore producer on Minnesota’s Mesabi Iron Range. Working for Oliver, Congdon expanded and defended the company’s Minnesota interests. He also purchased stock in the company. In 1901 J. P. Morgan bought out John D. Rockefeller, Andrew Carnegie, Oliver Mining, and others to form United States Steel. In six short years the value of Congdon’s stock rose 555 percent; almost overnight Congdon had become one of the wealthiest men in Minnesota. He then partnered with Oliver and others investing in ore property on the Western Mesabi and diversified by opening copper mines in Arizona and building an irrigation canal in Washington’s Yakima Valley, where he developed fruit orchards. In Duluth he served as an executive with the American Exchange National Bank of Duluth, the Marshall-Wells Company, the Gowan-Lenning-Brown Company, and other enterprises. Construction of Glensheen began in 1905 and took four years to complete. While the estate was being built, Congdon became interested in politics. 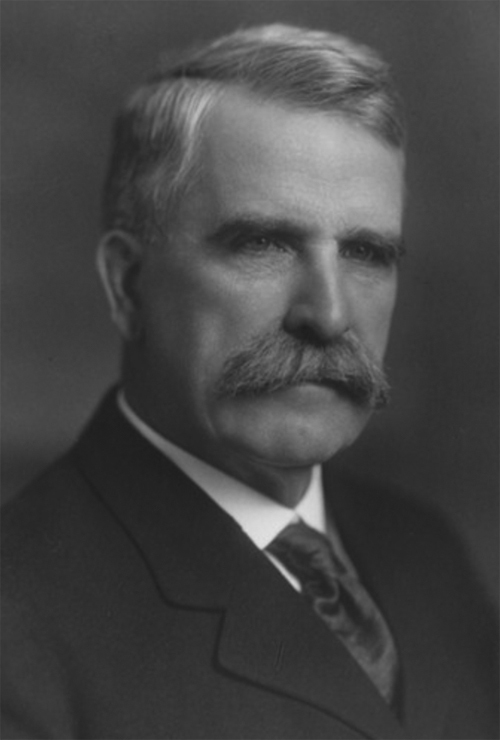 He served as the Republican representative from Minnesota’s Fifty-first Congressional District from 1909 to 1913. In November 1916, just days after Democrat Woodrow Wilson won the presidential election, Chester Congdon died of a pulmonary embolism in St. Paul. Not because he was a rich man but because he was a good man with sound instincts and large capacities for service and with an ever increasing will to give his energy and means to wholesome public enterprises the loss of Chester A. Congdon is a great blow to the community, to the state and to the nation.